GAPP was originally conceived as a 1-year pilot project in 2012, to independently represent the voice of publication professionals everywhere, without being fettered by organizational approval systems that would hamper the speed of response. 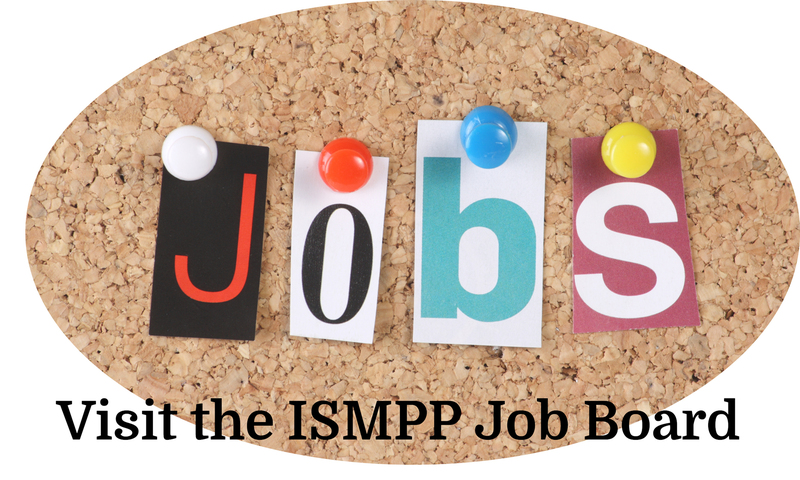 After about 50 responses over 6 years, the team believes that the main professional organizations are now in a position to collaborate swiftly to counter any future misinformed or unrepresentative articles about the medical publications profession. As a result, the GAPP team stood down as of 2 May 2018. 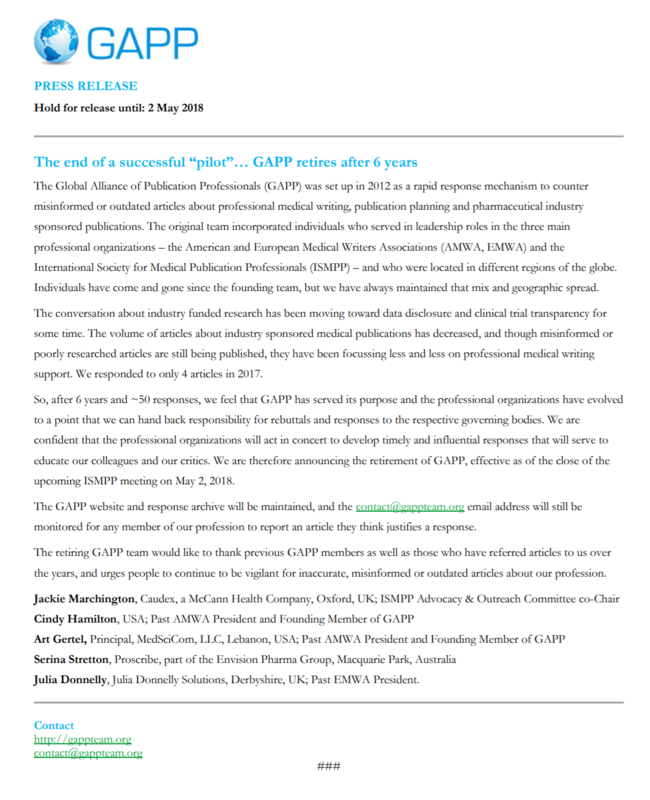 GAPP does not believe that the need for a response team has passed, but the responsibility for responses is now back in the hands of AMWA, EMWA and ISMPP. The GAPP website will remain, with the aim of curating any future correspondence or articles of interest. Should you find an article that concerns you, please feel free to use their email (below) or contact form, which GAPP intends to forward to the aforementioned organizations. Read the official press release or click on the image below.